Do you smile when you receive an honest-to-goodness handwritten letter delivered by snail mail? Although that happens less and less in these days of email, texts and instant messages, nothing makes my day like finding a card or note from a friend in my mailbox. 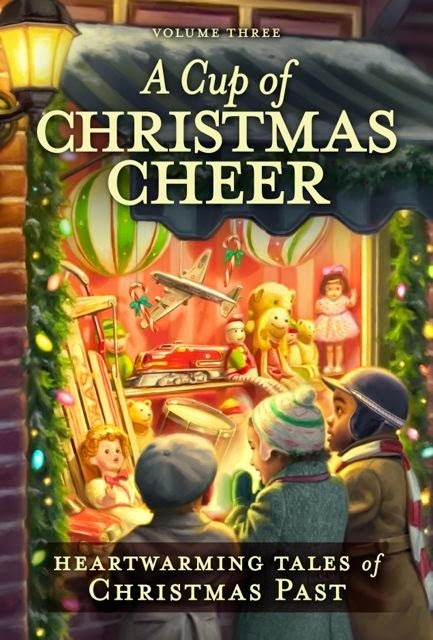 In the early days of California when my story featured in A Cup of Christmas Cheer: Volume 3, Heartwarming Tales of Christmas Past takes place, mail from back home was a rarity. The arrival of a letter was often cause for celebration. Soon after I moved to the Sierra Foothills’ town of Placerville, I learned about a mail carrier who had made a difference in many people’s lives. John “Snowshoe” Thompson heard that the U. S. Postal Service was seeking someone to take mail over the mountains during the winter months and applied for the position. This rugged Norwegian-American got the job. 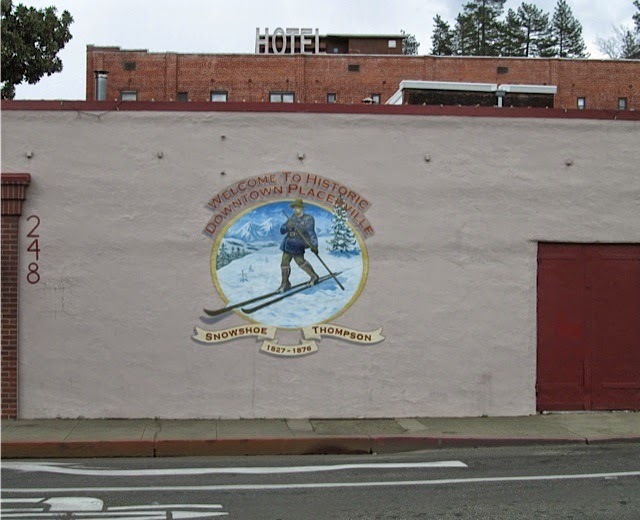 Snowshoe Thompson, as he was called, strapped a pair of handmade twelve-foot wooden skis on his feet and set off from Placerville to Genoa, Nevada. He could make the ninety-mile trek in three days. I’ve lived in Placerville over twenty years and have driven by my town’s monuments to Showshoe Thompson hundreds of time. 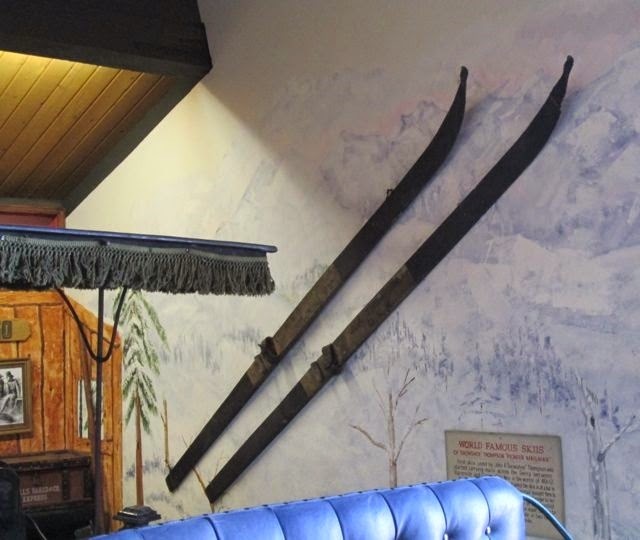 I’ve seen his skis on display in our county’s historical museum and heard tales about his travels. However, it wasn’t until a trip to Genoa, Nevada in the summer of 2013 that I became fascinated by this local legend. I visited Thompson’s gravesite and spent a delightful hour in the Genoa Courthouse Museum, which is home to an enlightening display honoring this famous mailman. When Thompson set off from Placerville, he would heft a sixty- to one-hundred-pound mail sack on his back. The only personal items he took, other than food, were matches and his Bible. Thompson delivered letters, magazines and newspapers, but that wasn’t all. On several occasions, he carried much-needed medicine. 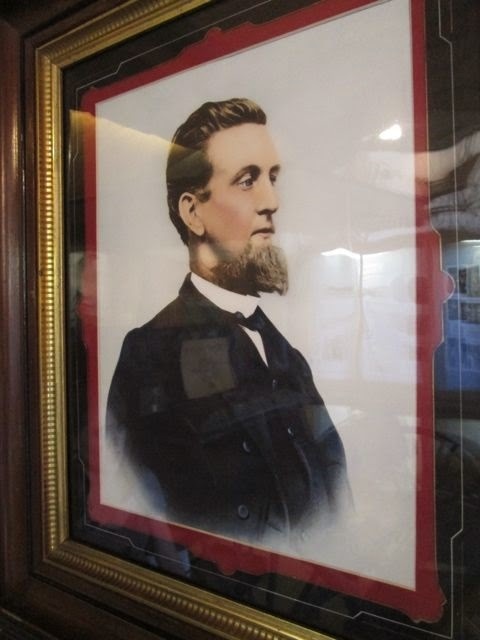 He would purchase items in Placerville at the request of people in Genoa, such as sewing needles, a glass chimney for a lantern and a fiddle string, and deliver them to grateful recipients. For twenty winters, beginning in 1856, Thompson made two to four trips a month. Although he was hired by the Postal Service, he never received any wages. The only money he earned was the one-dollar-per-item fee he was allowed to charge for his labor. There were some who couldn’t afford to pay him, but that didn’t keep Thompson from delivering their letters or packages. One year Thompson was asked to vary his route. The winter of 1866-67 was the worst on record, leaving the mining town of Meadow Lake high in the Sierra buried beneath up to thirty feet of snow. Thompson was asked to take mail to the isolated town. When I set out to write my story, “A Father’s Gift,” I wanted to showcase Snowshoe Thompson. This remarkable man exemplified a generous, godly nature. I set my story in Meadow Lake during that record-breaking winter. The main character receives an unexpected package delivered by a much-loved mail carrier: Snowshoe Thompson. While my character’s story ended happily, Thompson’s did not. In May of 1876, at the age of forty-nine, he died of appendicitis that developed into pneumonia. Because he had never signed a contract with the Postal Service, when he went to Washington D.C. to attempt to receive his back pay, his claim was denied. When the Smithsonian Institute created an exhibit chronicling the history of the Postal Service in the 1990s, they failed to include Thompson for the same reason. 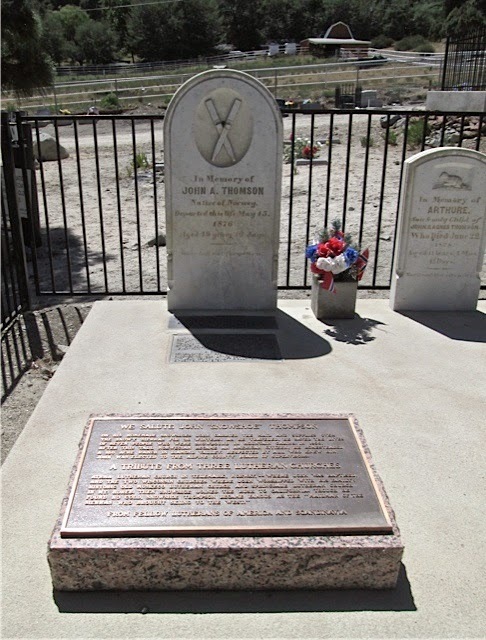 Although Snowshoe Thompson didn’t receive payment or official recognition in his lifetime or even posthumously, he left quite a legacy. Monuments to this beloved legend abound throughout the Sierras and beyond. Whenever I see one, I’m inspired by this kind soul who put the needs of his fellow man above his own. 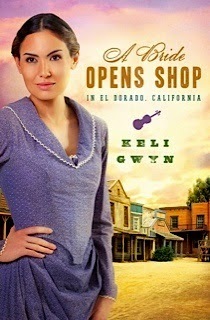 Keli Gwyn writes stories that transport readers to the 1800s, where she brings historic towns to life, peoples them with colorful characters and adds a hint of humor. A California native, she lives in the Gold Rush-era town of Placerville at the foot of the majestic Sierra Nevada Mountains. 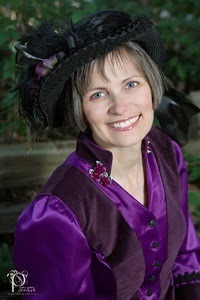 When Keli's fingers aren't hovering over the keyboard of her newfangled laptop, she enjoys strolling past stately Victorian houses in her historic town, burying her nose in reference books as she unearths interesting facts to include in her stories and interacting with other romance readers. Her favorite places to visit are her fictional worlds, historical museums and other Gold Rush-era towns. Isn't it odd how we live in a place and often don't learn the history until we visit ANOTHER place that touts where we live? Thank you for this insight into a remarkable man's life. Well said, Stephanie. I'm just glad I was inspired to learn more about Snowshoe Thompson. He exemplified Christian love in action. What a remarkable man! I loved learning about Snowshoe Thompson and shared this post with my children during our history time. They were fascinated as well! Thanks, Keli! Britney, I'm glad you and your children enjoyed learning about this kindhearted mail carrier. Keli, I've never heard of Snowshoe Thompson. It's sad that the government refused to pay such a dedicated worker. Vickie, when I learned about all Snowshoe Thompson did and how he was treated, I was incensed. What I find remarkable is that he didn't let the lack of respect or payment keep him from serving others. They needed their mail, and he delivered it--paycheck or no paycheck. His story is a shining example of brotherly love in action.